Give your kids easy chores and praise for their good work!! 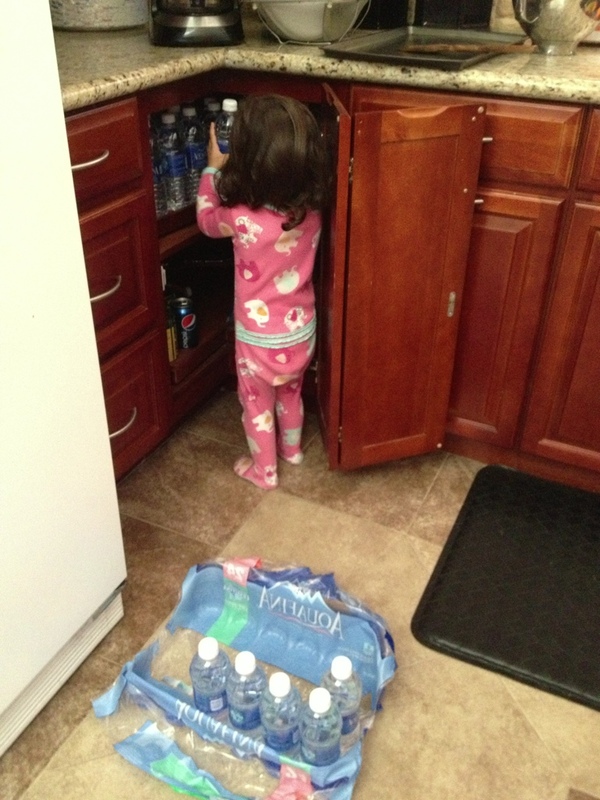 My two year old loves to put the water bottles away so that’s her job! This entry was posted in Parenting and tagged chores, help, kids, Parenting, praise, toddler. Bookmark the permalink. I agree! My 15 month olds know how to put their clothes in the hamper, pick up their bath toys, and clean up spills. Well, they try but mommy usually has to finish, but who cares. Close enough! Now, if i can just stop them from throwing away their shoes. Lol! So cute! I realized it requires tons of patience when delegating tasks because half way they may lose interest. It’s so good if you can just keep them focused and try to get them to complete a simple task and not leave things halfway. I’m working on that with my four year old. Great post, as a new father I love the picture. Congratulations and welcome to daddy life! !